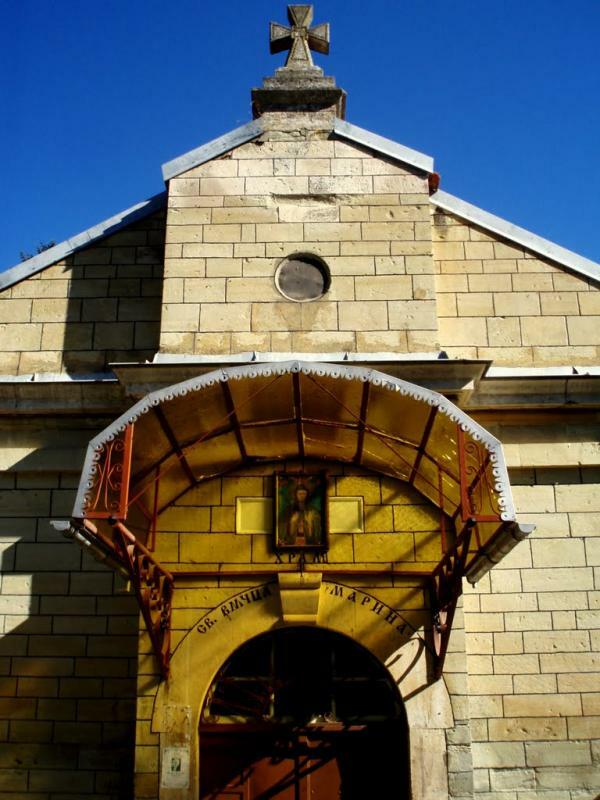 Saint Marina’s Monastery is situated near the village of Karan Varbovka, Dve Mogili Municipality, Ruse Province. 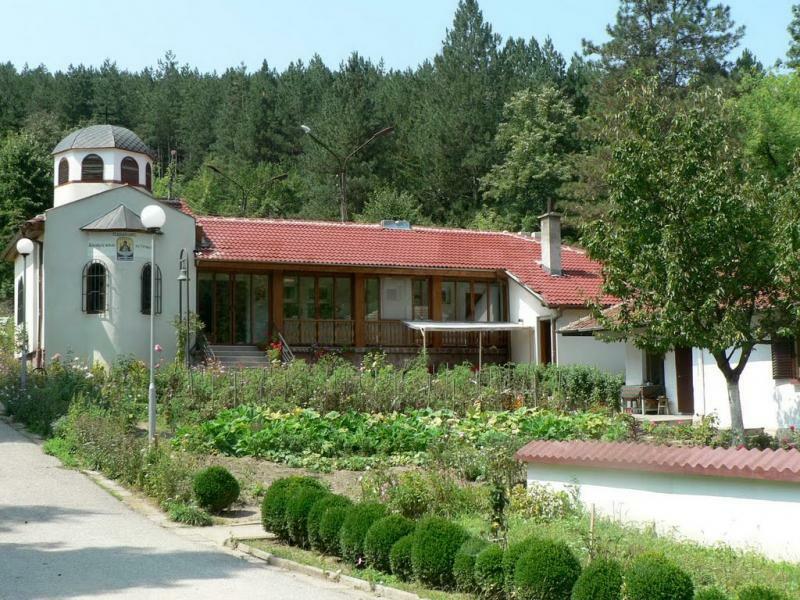 It is one of the oldest Bulgarian monasteries, which were built during the Second Bulgarian Kingdom (1187-1396). After the Bulgarian Kingdom fell under Ottoman rule, the Turks began terrible persecutions, outrages and intolerable violence against the monks. The monastery was burned and torn down along with other Bulgarian sanctuaries and faded away from the peoples' memory, but the name of Saint Marina remained forever in the minds of the people. The second monastery was restored later (1828-1859). 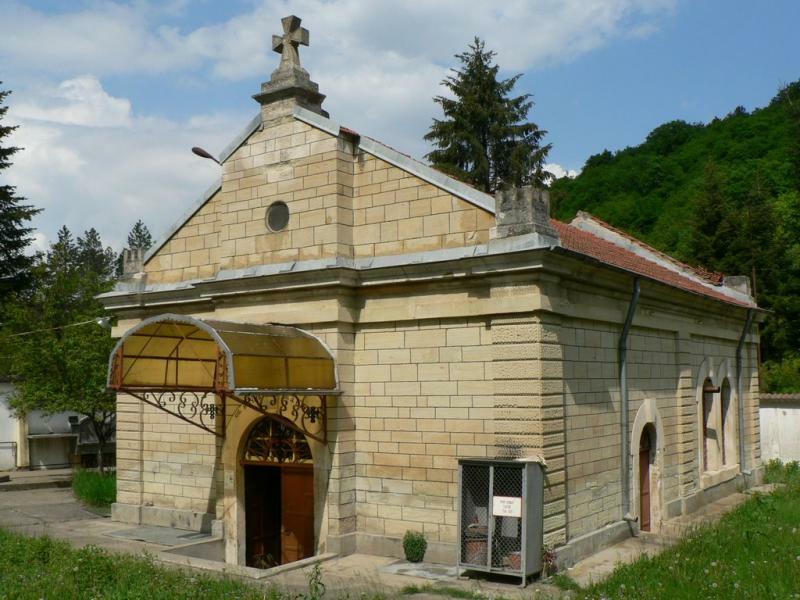 During the first half of the 19th century, not far from the destroyed monastery, a church was built, where water with healing properties sprang. This church, built in the honor of the Holy Martyr Marina, was reconstructed and still exists; we know the year from Archimandrite Veniamen's book Short History of Saint Marina’s Monastery where he wrote that when he came to the monastery, above the front west door of the church was written the year of 1890. The tradition says that on one hot cloudless day in July, during the harvest, the field's owner, a Muslim Turk, left his blind twelve-year-old boy to sleep in the corner of the field, and went to work. The child woke up and started to look for his father. As he was running, he stepped into the water. The boy drank and after he washed his face, he could see again. Happy, surprised and scared he ran to his father, and after the Turk made sure that his son could see again, he was very happy. Without losing more time, he took his son and ran to the nearest village, to share his happiness and to ask the villagers about the Christian holiday they were celebrating and about the Saint making these miracles with the water. 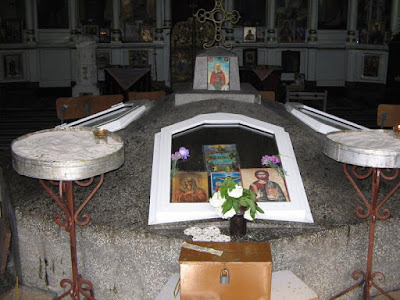 One old pastor answered that he has heard from the old priests that the place is famous with the name of the Holy Martyr Marina and that her miraculous Holy Water was there. The day when the Orthodox Christians were celebrating her memory was 17 July. In gratitude to Saint Marina, the Muslim man gave over the field with the Holy Water to the Christians, so sick people could have a place to stay when they come to heal themselves. The story about the miracle was heard not only in Bulgaria, but in Moldavia, Wallachia, Serbia and others. Since then Saint Marina's memory is revered and is not forgotten. The crowds of believers never end. In all the times of ups and downs, of slavery and liberty, with faith people continue looking for and receive cures from various diseases and disabilities, due to her intercession before our Lord Jesus Christ. Whenever you decide to visit the monastery, you will find the spring there - in the middle of the church, formed as a well, with stone steps, circled by an iron parapet in the shape of an octagon - with three doors. 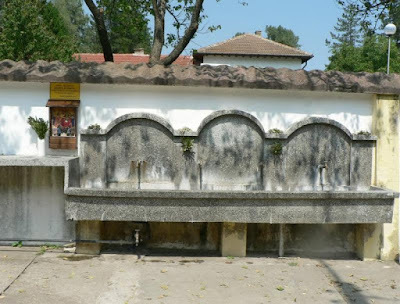 Because of the huge number of believers and tourists and visitors, who fill the small monastery yard every year - especially around the 17th of July, since 1984 the water from the holy spring is brought out of the church in four decorative spouts, from which everyone can take from it in a bottle or glass. Today the local people continue keeping and passing on from generation to generation the belief that the water from the spring under Saint Marina's patronage heals eye and kidney diseases and infertility. The tests of the chemical analysis show that the water is poorly mineralized and it is suitable for everyday usage.